Mirpur Khas, Pakistan – new “shed shot” – but don’t get too excited! This tour combines what is left of the best of what we did in 2007 in the former Jugoslavia; with the Bulgarian tour of 2011, both in association with the LCGB. 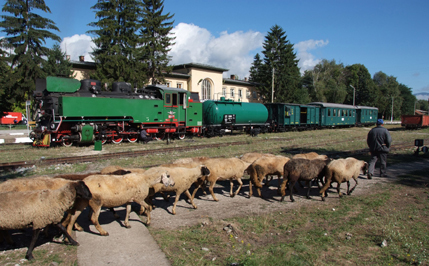 Another highlight will be 2-12-4 46.03 nicknamed “mother bear” because of its size, on the route Kyustendil – Sofia. 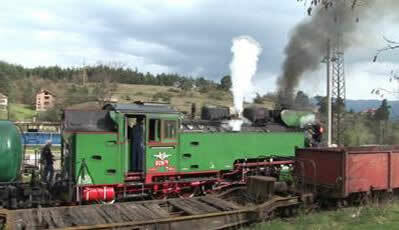 And the third of our special steam trains will be hauled by 2-8-2 01.23 on the 77km run from Plovdiv to Panagyurishte. We are planning to start the tour by flying into Trieste, Italy, before crossing the border into Slovenia. Our homeward flight will probably leave from Plovdiv. The tour price is likely to be around £1695, including return flights from London Stansted; and half-board (dinner, bed and breakfast) en-suite accommodation superior hotels in the hotels on a twin share basis. Single room supplement £100. The tour will be fully escorted throughout. All images except the main picture, and the diesel which are courtesy James Waite, are still frames from video material shot on the 2011 tour. 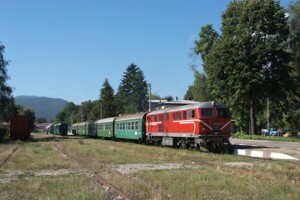 Enthusiast Holidays and Listopad Travel are trading names of TRAINSEUROPE LTD. bonded tour operators with licences E4120 and TO065 by Rail Europe and Eurostar UK Ltd.
Our ATOL number is 4601. Protection extends primarily to customers who book and pay in the UK.